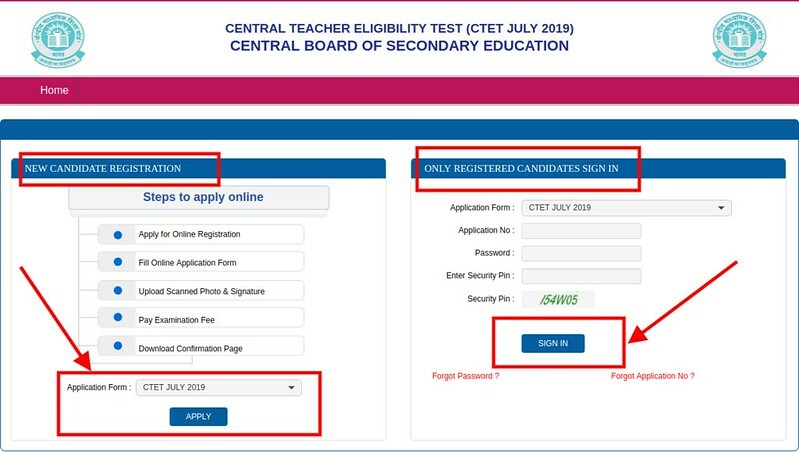 CTET Application Form 2019 – Central Board of Secondary Education (CBSE) has extended the last date to fill CTET Application Form. Now the candidates can submit the CTET Application Form 2019 until March 14, 2019 at ctet.nic.in. Now the candidates can pay the application fee up to March 15, 2019. And the date to make corrections in CTET Application Form also has been changed. In the application form, candidates need to choose CTET paper, exam city, upload images and fill details. The application fee for CTET is Rs. 700 (Rs. 350 for reserved candidates). It can be paid online and offline. 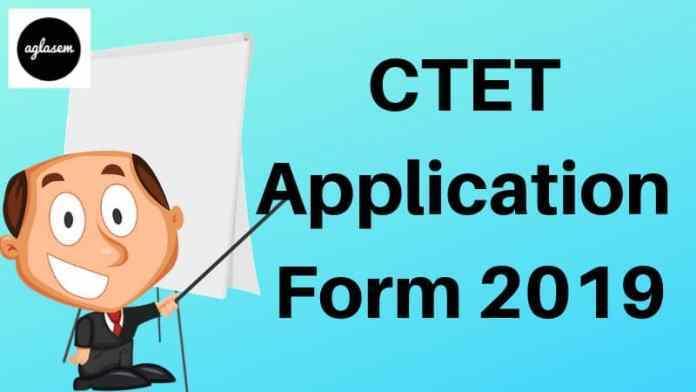 Check more details on CTET Application Form 2019 from this page. 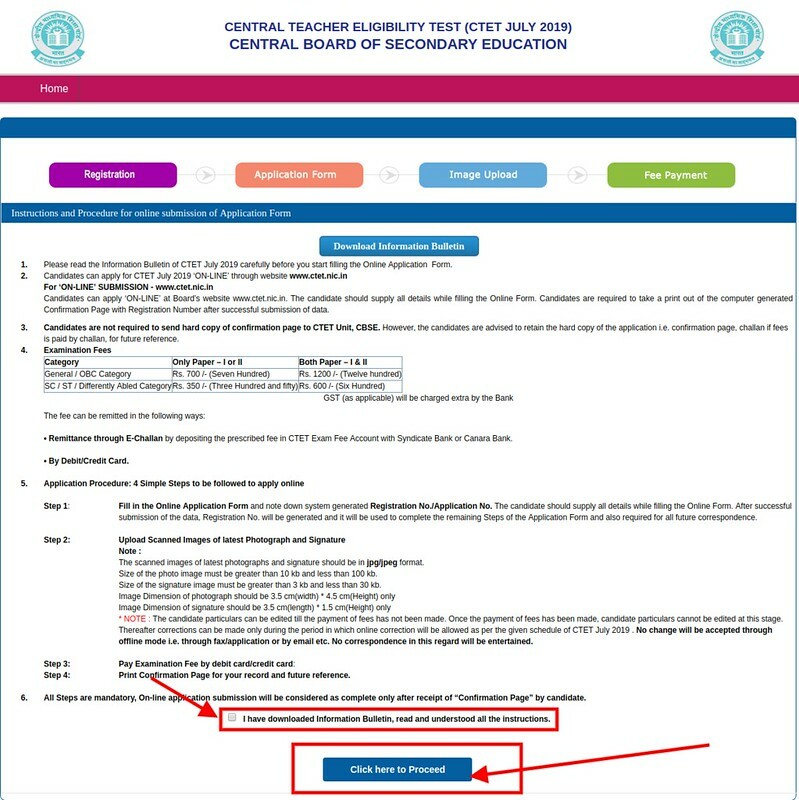 Latest: The last date to apply for CTET Application Form 2019 has been extended. Get the link to apply below. 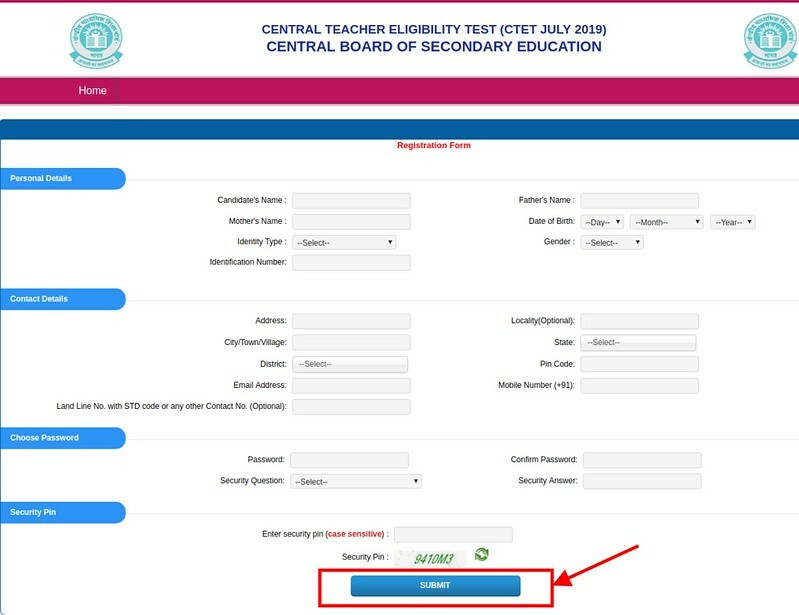 Candidates have to use online mode for filling up the CTET Application Form 2019. In the application, form candidates need to fill the valid details. The candidates who will register before the last date those form will be only accepted for further process. For more information regarding CTET 2019 Application Form check the schedule given below. Application Form: Click Here to Apply For CTET 2019 July Application Form. From below candidates check the details regarding application fee/examination fee. Without making the fee payment your registration will be not considered successful. Mode Of Payment – The candidates can make the payment by using online and offline mode. From below see the detailed information regarding mode of payment. Online Payment: The candidates who want to make payment by using Online mode those can make the fee payment by using Debit Card / Credit Card. Offline Payment: The candidates who want to make offline payment those can make the payment through E-Challan by depositing the fee in CTET Exam Fee Account at Syndicate Bank or Canara Bank. The candidates who meet the eligibility criteria laid by the CBSE can apply for the CTET 2019. Before filling up the form candidates first should read the CTET Eligibility Criteria. Age Limit: There is no restriction on the age limit. Educational Qualification for a paper I: The candidates who have completed or appearing in latest qualification (D.El.Ed / B.El.Ed / D.Ed Special Education) can apply. Before filling up the form candidates first should collect the documents which will be required during filling the online application form. From below candidates can the documents which will be required at the time of filling the Online CTET Form 2019. Candidates can follow the steps given for filling up the CTET Online Form 2019. Candidates need to follow the major 4 Steps for completing the registration process. At first click at the link given above that will redirect you to the Application Form Apply Page. If you are registering for the first time then click at the “Proceed To Apply Online” button and if have registered previously then enter the Registration Number, Password and Security Pin and in the Registered Candidates Login sections. Thereafter, click on the “Submit” button. Thereafter instructions page will open as shown the image below read it and then click at the small square and then click at “Click here to Proceed” button. STEP 1 (Registration Form): Thereafter Registration Form page will open in this page candidates need to enter the Personal Details, Contact Details, Choose Password and Security Pin. After filling all the details click at the Submit button. After successful registration, the candidates get the Registration number and password. The candidates are advised to save these details which will be used in further events such as editing application form, downloading admit card, checking answer key or result etc. STEP 2 (Application Form): After the completion of the Registration process, Application Form filling page will open in this page candidates need to mention the Educational Details, Qualification Detail, Select exam center, Language offered for CTET, Password Generation and Security Pin. After filling all the details click at the Next button. STEP 3 (Upload Photo and Signature): Thereafter, Online Uploading of Scanned Images page will open. In this page, candidates need to upload the Scanned Photo and Signature. STEP 5 (Payment): After uploading the photograph candidates in the next step candidates have to make the fee payment. Important Note: For all the candidates it mandatory to download the Confirmation Page for the record and future reference. The candidates who are unable to download the confirmation page those should immediately Contact the CTET Unit. The candidates need to follow the Specification For Uploading Photo and Signature in CTET Application Form 2019. Check the specifications from below. Scanned Photograph and Signature should be in JPG format. Size of the scanned photograph and signature should be between 10 to 100 KB and 3 to 30 KB respectively. Image Dimension of photograph and Signature should be 3.5 cm (width) x 4.5 cm (height) and3.5 cm (length) x 1.5 cm (height) respectively. The candidates who have some mistakes in the application form of CTET, don’t worry the CBSE will provide the chance to edit the application form. The CTET Application Form Correction window will be open on the official website at ctet.nic.in. The candidates will be able to correct the form but they don’t have to pay any fee for editing their form. The candidates who will submit the application form before or till the last date for those candidates only CTET 2019 Admit Card will be issued. Admit Card will we released at the official website. The admit card will contain the details like candidate’s name, roll number, father’s name, exam name, center name, exam center code, examination timing, gender etc. On the day of the CTET 2019 examination for all the candidates, it will be mandatory to carry a hard copy of the admit card and one valid photo id proof (Aadhaar card, PAN card, voter id card, passport etc). The CTET 2019 official notification was released on January 04, 2019 at the official website. The candidates who are eligible and interested for working in the teaching sector those can apply for CTET 2019. CTET examination consists of two paper that is Paper I and Paper II. The candidates who want to be a teacher of Class 1 to 5 students those need to apply for CTET Paper I and those want to be a teacher of Class 6 to 8 students those need to apply for CTET Paper II. Candidates can also apply for appearing in both the papers (Paper I and II). The candidates who will qualify the CTET, those will be given the Teacher Eligibility Certificate (TET). The candidates who will be having the TET certificate those will be eligible to apply for the teaching profile in government, semi-government and private schools, college etc.